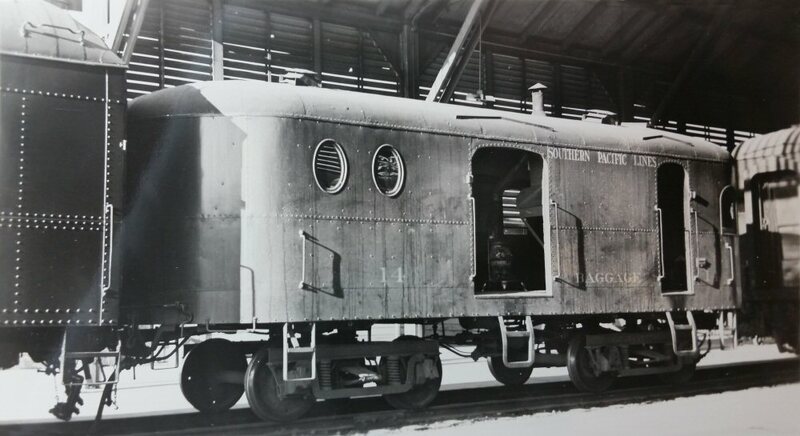 Southern Pacific McKeen Trailer Cars | The McKeen Motor Car Website Southern Pacific McKeen Trailer Cars | The Compendium of Knowledge on the McKeen Motor Car Company, and their experiments. Photo Courtesy of the Guy L. Dunscomb Collection. Southern Pacific Trailer Car #8, which later became T-13, is seen here in Sacramento, in February 3rd., 1909. this car was sold that year to the Maricopa and Phoenix Railroad, and later to the Arizona Eastern. 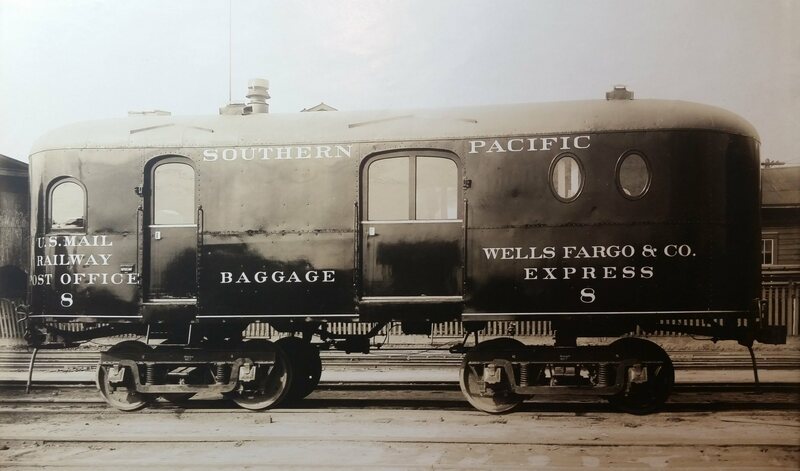 This car was the first trailer car built for the Southern Pacific in 1908 as a Baggage/Mail Trailer car. 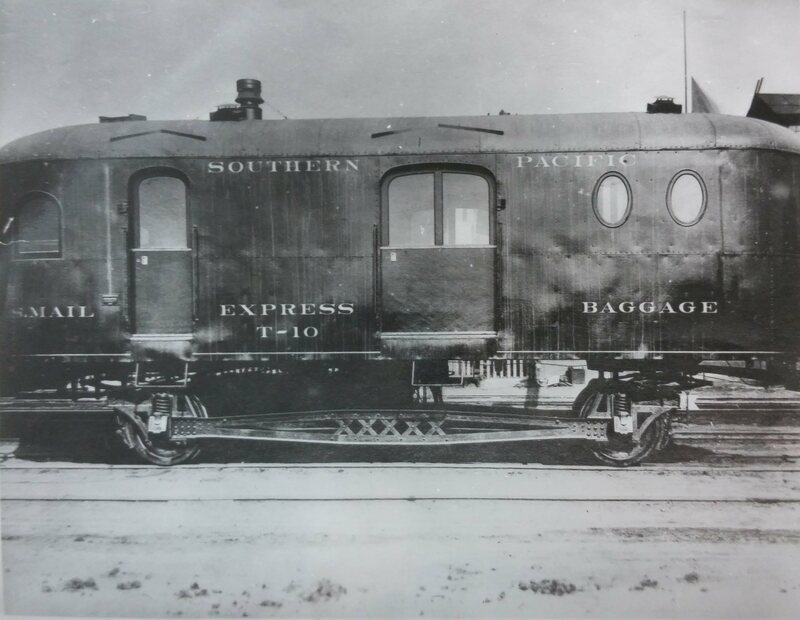 It was original built as Car #3, but was probably mistaken as another train car, and was renumbered with a “T” to indicate it was a trailer, meant for use behind a gasoline, or diesel motor car. This car was numbered #10 in 1909, and served on the Southern Pacific until January 1920. T-14, originally car number only “14”. This car was like every other trailer car with a Baggage/Mail section, with the barely noticeable cast iron mail slot to the immediate right of the the door on the right. Here is a photo of the T-16 Trailer car in Napa Valley, California. This car was used on the Napa Valley Railroad after being used on the Southern Pacific from February of 1909, to February 1927. 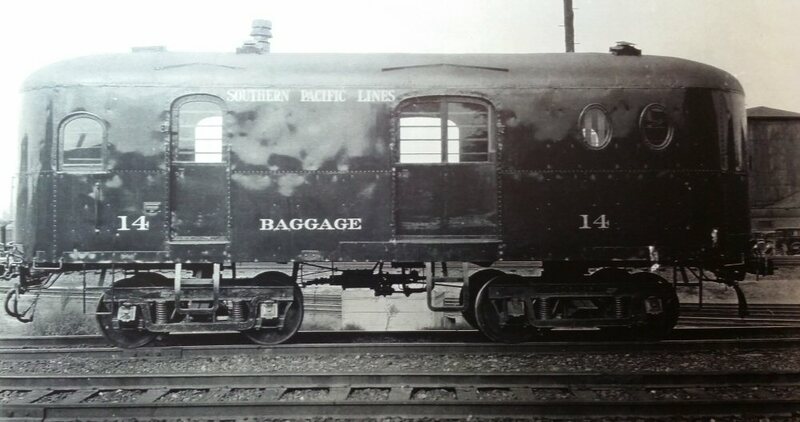 McKeen Car Baggage trailer car design #175, used on Trailer cars T-14 and T-16. 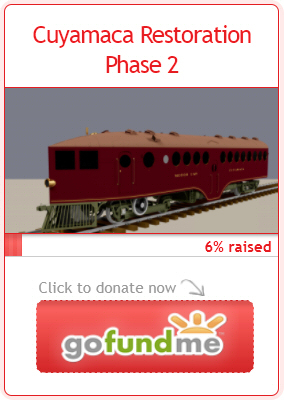 Design Plan for S.P. Mail/Baggage Trailer Cars T-2 and T-4, and C.P. T-6.